DESCRIPTION 1340 sq.ft of living in this open concept floor plan that offers upgrades galore including new vinyl plank flooring, trim, doors, appliances, hot water tank, main bathroom vanity, toilet & lighting, interior paint, chain link fencing, concrete driveway, stairs on the deck and a concrete RV parking pad. Enjoy the vaulted ceilings, the large south facing windows that overlook open space and the natural light. The basement features a living room, new 3 piece bath, the laundry and a oversized bedroom that is currently used as a music room. There is an large storage area and the basement offers a walk up from the storage room, this area could be made into a great mudroom/back entrance or large enough to build another bedroom. There is infloor heating in the basement that is not hooked up, seller had it pressure checked and everything is functional. The yard offers a garden, raspberries, 4 new pines and a new birch tree. Extras include a 24'x 24' detached garage, front veranda, back deck and curb appeal. Home for sale at 320 Slade Dr Nanton, Alberts T0L 1R0. 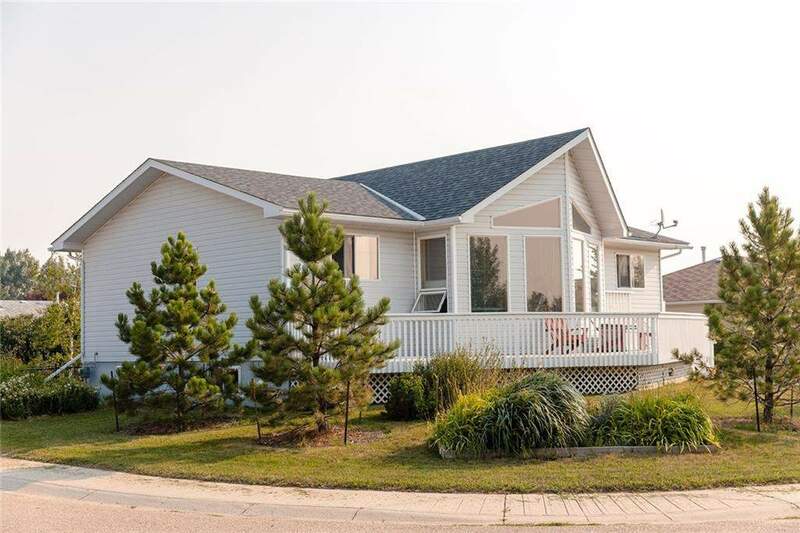 Description: The home at 320 Slade Dr Nanton, Alberta T0L 1R0 with the MLS® Number C4200647 is currently listed at $349,900.